I never thought at age 23 I would own my own business. However, at the beginning of this year, I found myself filing for a retail license, and soon after that, filling wholesale orders. What started as a part-time crafting hobby was quickly growing into a larger-amount-of-time business, and I have loved every minute of it. I love the aspect of getting orders and forming relationships with my customers. So what do I make? Jewelry. Well, mostly bracelets right now, but I have plans to grow the line into other types of jewelry in the coming months. Mostly I sell on Etsy. 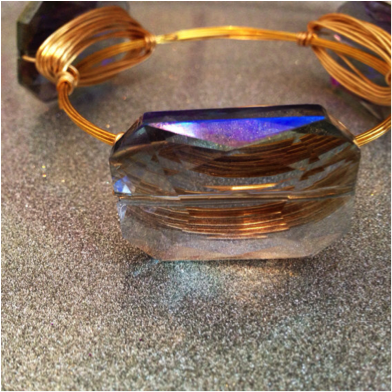 My jewelry is carried in a few boutiques, and I hope to expand into more! Custom orders are my favorite. I love designing for bridal showers, baby showers, or even individual customers who are going to events. 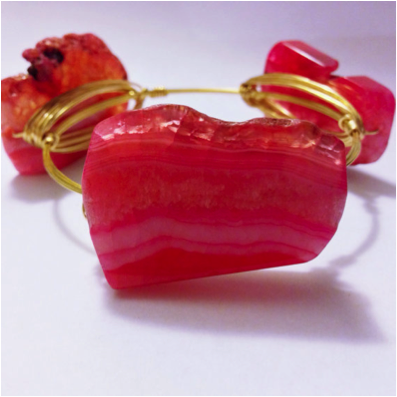 I get a lot of requests from those who have troubles fitting standard bangles, some too small, others too big. I’m happy to do custom sizes! Everything is still in the beginning stages, but starting this business led to me figure out dreams that I never knew I had. The unknown is scary, sometimes, but also exhilarating. I get to meet new people and make beautiful things every day! What more could I ask for? You can find my jewelry on Etsy at https://www.etsy.com/shop/SydneyElleDesigns. I’m constantly adding new things! So make sure to follow my store. I’m also on Instagram @SydneyElleDesigns. Feel free to email me at SydneyElleDesigns@Gmail.Com with questions! 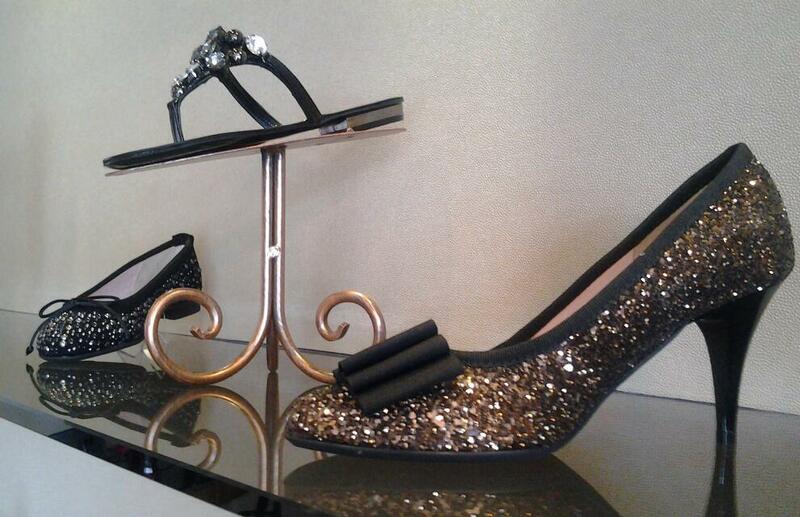 I first featured GWEN RAWLS Italian Shoe Boutique after attending the soft launch in late August. If you have not had a chance to visit yet, you’re in luck. 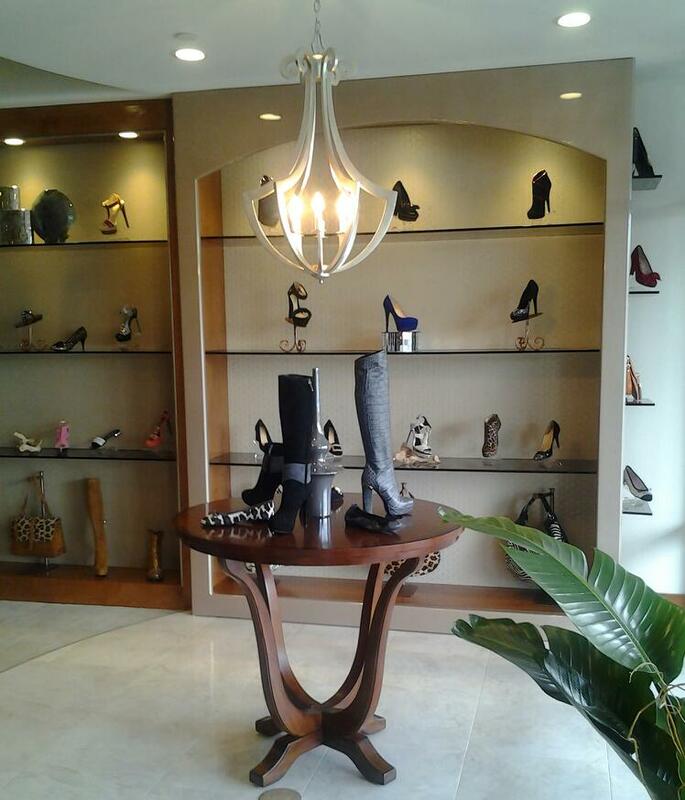 GWEN RAWLS Italian Shoe Boutique will celebrate its grand opening festivities on Friday, November 9 and Saturday, November 10 at Trenholm Plaza, 4840 Forest Drive, Suite 17. Each day from 10 am to 6 pm, boutique owner Gwen Rawls will welcome guests to view her latest collection of Italian shoes and handbags—couture originals direct from Milan—along with the chance to sample delicious Italian hors d’oeuvres and refreshments, and the chance to win several boutique gift certificates and coastal travel packages. After a September trip to Milan to complete her winter product line of fine Italian leather shoes, boots and handbags, the GWEN RAWLS collection now features more than ten designers including Roberto Cavalli, Baldan, Luciano Padoran, Luis Onofre, Gianna Meliani and Mario Zamagna. 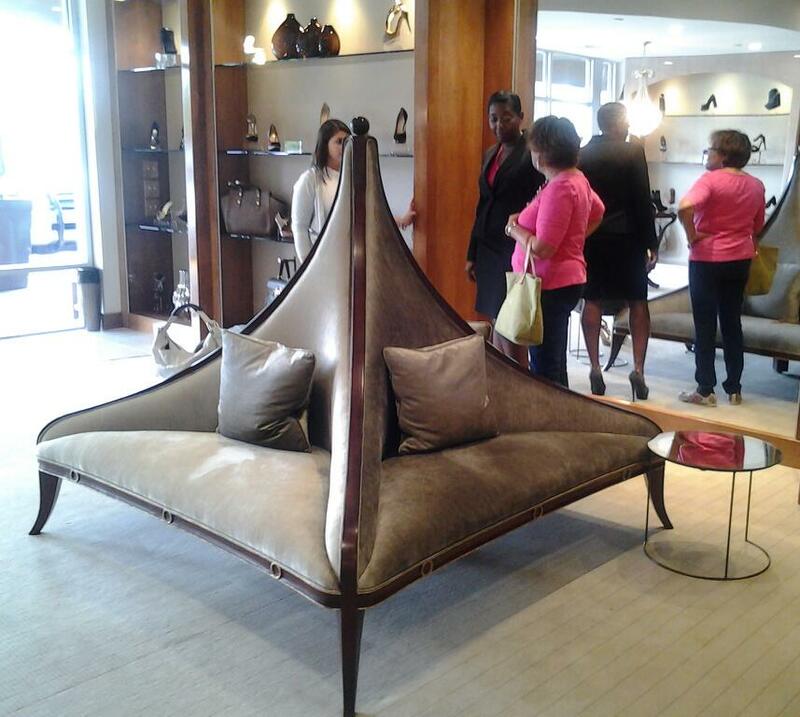 “It’s been so much fun introducing Columbia shoppers to the Italian designers I’ve discovered,” said Rawls. “They are already famous on the runways of Milan and in the pages of fashion magazines like Italian Vogue, but now they are gaining notoriety right here in Columbia.” Rawls emphasizes that many of the shoes in her collection are made exclusively for the GWEN RAWLS label while others are only sold in Europe—meaning Columbia is the only place in the U.S. to offer many of her styles. When I started strength training two years ago, I had one pair of Saucony running shoes, purchased at a discount store because I liked the pink and black accents. They were comfortable shoes and perfect for those “shop ‘til you drop” Saturdays. Once it looked like I was going to be a regular, my trainer suggested I try a pair of the then-new “barefoot” or minimalist shoes for training. I don’t explain it as well as my trainer, but wearing minimalist shoes provides me with a much more stable “base.” The reduced heel cushioning and sole thickness, along with a minimal offset in height between the forefoot and heel allows me to have more responsiveness through my foot when grounded. This responsiveness helps to keep my knees in proper position on lifts, the back and hips to be more aligned, and in turn allows me to be more efficient with major moves such as squats, deadlifts, lunges and other compound movements. First came my Nike Free Trainers, my first entrée into the minimalist shoe category. Light grey with an orange bottom and turquoise accents, these are probably my tamest pair of shoes. They are perfect for strength training and the elliptical, and are probably my best “squat shoes.” But if I’m going to be on the treadmill, I usually pick another pair. 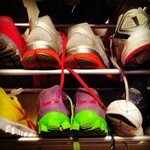 Next came my Reebok RealFlex Trainers, solid neon pink. 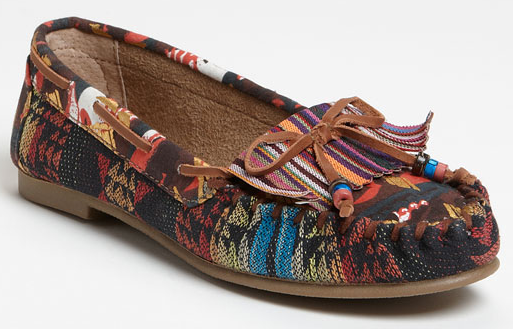 These shoes make me smile, and pick me up on those mornings that I’d rather stay in bed. The bottom resembles a rubber keyboard, and they are good for everything. These are probably my favorite shoes. Soon after experiencing the Reebok RealFlex, I also purchased a pair of their running shoes. The attraction was purely physical; they are dark grey with a neon lime bottom and neon pink accents. Although the same size as my other Reeboks, the toe box seems to be just a smidge roomier. I often wear these during “that time of the month” or when my feet feel a little swollen. On a trip to the Reebok outlet in Myrtle Beach, I purchased a neon yellow and pink RealFlex Optimal Running Shoe. I had to go up a size in these, likely due to a difference in the shoe material, and these don’t fit perfectly. They are perfect elliptical shoes, though, so I wear them most often on cardio days. That same weekend, I found a great pair of black and purple Nike Flex Trainers at Ross. The price was right, so I figured they would be a nice addition to my closet. I added a fab pair of black and silver shoelaces for the win, and I love them. 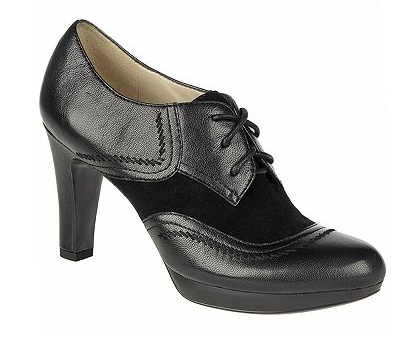 These shoes have yet to develop a personality; I can’t yet tell you when they perform the best. That leads me to believe they are probably a good all-around shoe for any gym activity, whether it be strength training or cardio. My latest purchase and the ones I swear will put an end to my athletic shoe addiction? 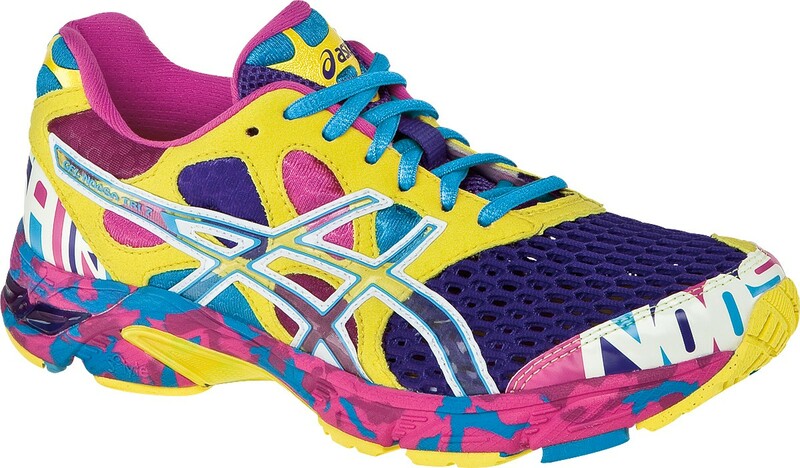 A pair of Asics Noosa running shoes. Actually designed for triathletes, this shoe gives me just a little more stability for the days when I spend an hour on the treadmill. My trainer says they’re also fine for training, though they aren’t my favorites for that purpose. And as nonchalant as I sound, I like them most for their vivid coloring: various shades of neon with glow-in-the-dark heels and toes. Yep, they are hot! My penchant for athletic shoes has earned me a special nickname at the gym: the Imelda Marcos* of Doctors Wellness Center. But whether you love workout shoes like me or prefer to stick to a single pair, the most important thing is to find the right shoe for you. The color and style are nice extras, but there’s more to it than that. 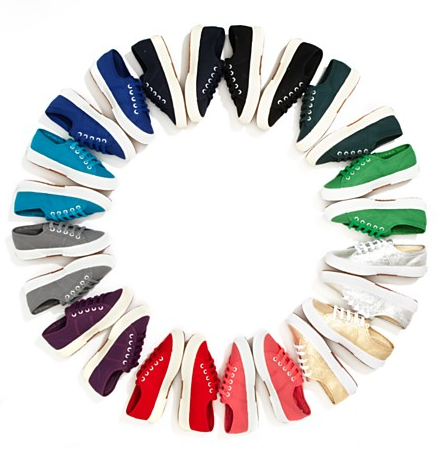 Before you go shopping for your athletic shoes, check out “10 Tips for Choosing Athletic Shoes” from WebMD. Of the ten tips, the one that resonates most with me is to go by what shoe fits, not the size. Sizes vary by brand, sometimes even styles within the same brand, so you always need to try them on. My regular shoe size is six, but my athletic shoes range from size 6.5 to 7.5. *For those of you under the age of 40, Imelda Marcos is the former First Lady of the Philippines. When she and her dictator husband were driven out of the country in 1986, she left behind at least 1200 pair of shoes. She was rumored to have over 3000 pair of shoes in her palace closet. 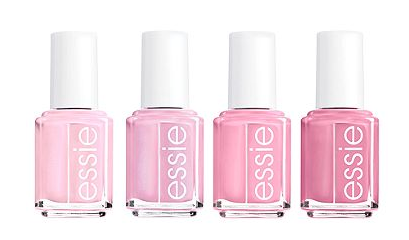 A portion of the proceeds from the essie breast cancer awareness collection will be donated to “Living Beyond Breast Cancer,” to empower all women affected by breast cancer to live as long as possible with the best quality of life. Price: $8.00 at Macy’s. Fashionista and breast cancer survivor Giuliana Rancic designed this gorgeous rhinestone-studded necklace that represents women coming together. Twenty-five percent of full-price purchases of the necklace will go directly to The Breast Cancer Research Foundation®. Price: $69.50 at LOFT. Coach’s limited edition jeweled key ring, a collection of luxuriously enameled signature charms suspended from a delicate silver-plated chain. 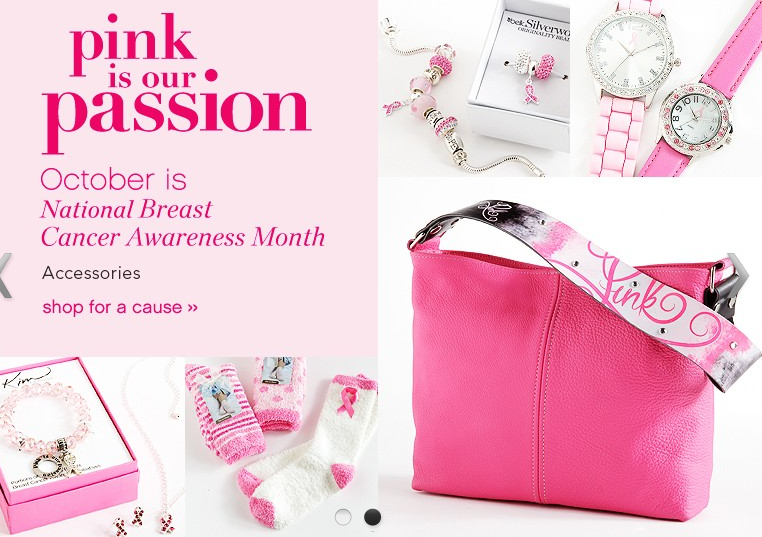 During the month of October, Coach will donate 20% of this purchase to the Breast Cancer Research Foundation. Price: $58.00 at Coach. Tory Burch partnered with The Breast Cancer Research Foundation® to create this exclusive hardshell iPhone 4/4S case, in a graphic pink needlepoint print. Price: $48.00 at ToryBurch.com. 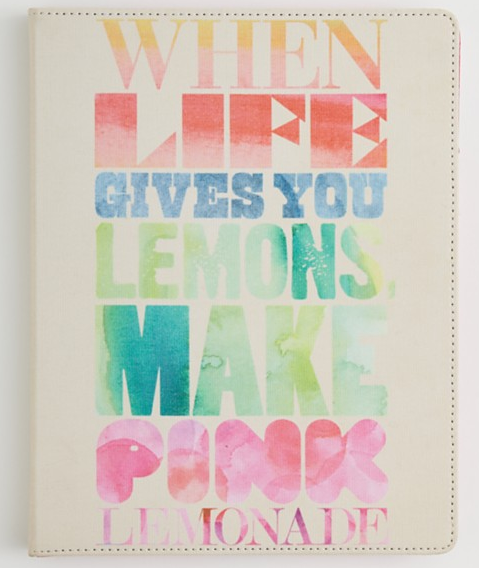 Designed to support the Breast Cancer Research Foundation’s efforts to find a cure, this cute, canvas iPad sleeve is inscribed with an inspiring message. It’s made of cotton canvas/leather and fits iPad 2 models. $15 from sale of each iPad cover benefits the Breast Cancer Research Foundation. 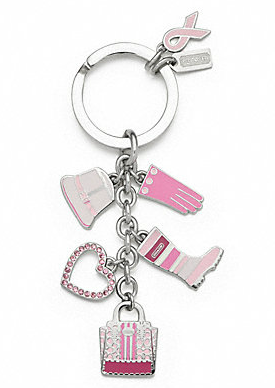 Price: $35.00 at Bloomingdales.com. From October 1st through October 31st, 10% of the net sales from the Awake tee will be donated to The Breast Cancer Research Foundation®. Price: $24.00 at Macy’s. Belk has partnered with Susan G. Komen for the Cure® and has pledged a $3 million donation minimum over 3 years for the fight against breast cancer. 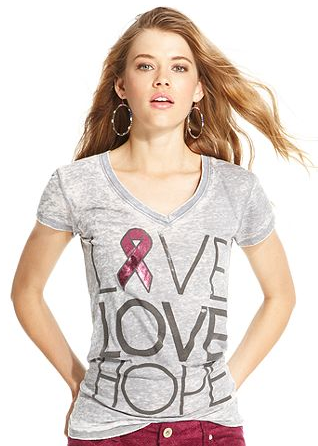 Visit your local Belk to shop the collection of apparel, accessories, home and beauty items. For the second year in a row, Lexington Medical Center is entering the international Pink Glove Dance video contest sponsored by Medline Industries, Inc. 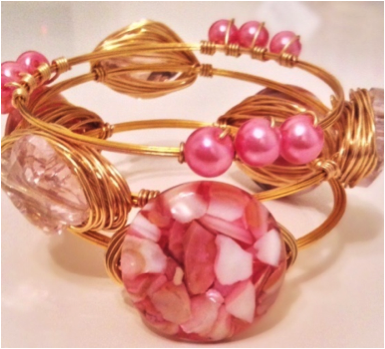 The project honors cancer survivors and raises awareness about breast cancer. To view and vote for Lexington Medical Center’s video, go to pinkglovedance.com. When I first discovered that a new accessories boutique was coming to town, I could not wait to share the news with all of the trendsetters and fashionistas of the Midlands! GWEN RAWLS Italian Shoe Boutique opened on August 23, and of course, I had to stop by to check out all of the fabulous shoes imported straight from Italy. I had the pleasure of meeting the owner, Gwen Rawls, at Power of the Purse a few months prior to the opening, and instantly connected with her since we share a passion for beautiful accessories. A South Carolina native with a love for European fashion, Gwen has traveled extensively throughout Europe, but she always returned to Milan to explore the world’s fashion capital. 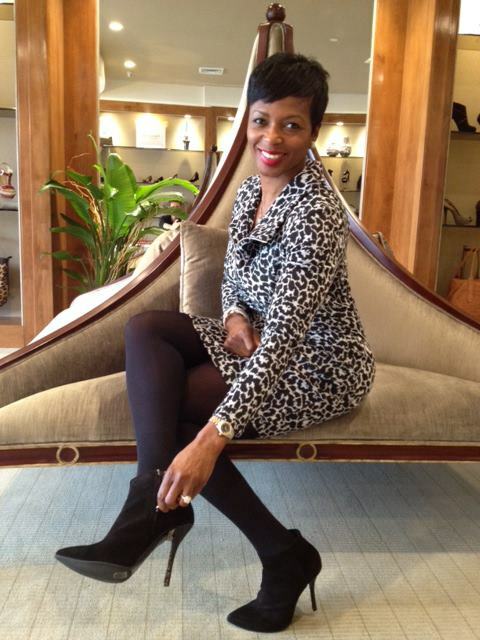 Like many women living in Columbia, Gwen felt her shoe shopping options were limited, and typically went to boutiques in Charlotte, New York and Atlanta to find the stylish brands she loved. 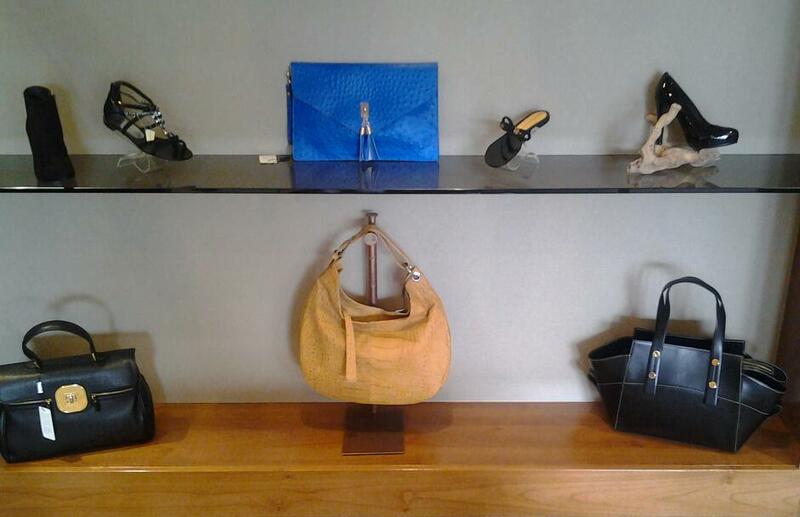 When I first stepped into the boutique, I didn’t know which way to turn. 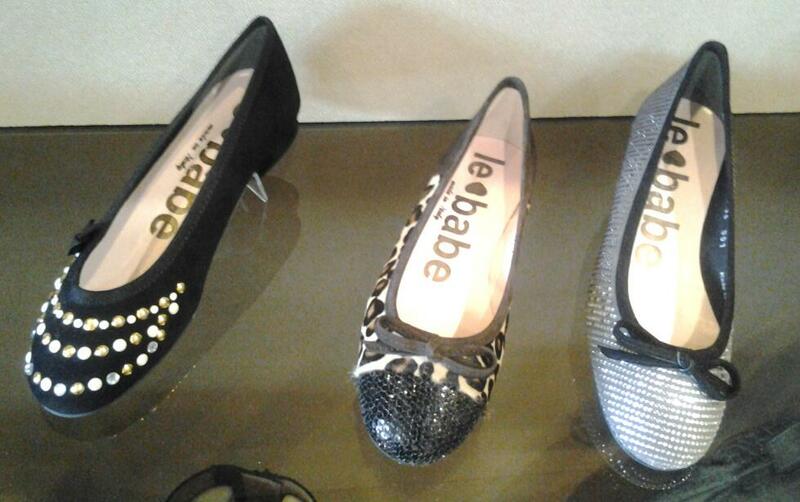 There were beautiful shoes displayed everywhere. The staff at GWEN RAWLS was warm and friendly, which is often rare when shopping at an upscale place. I can honestly say that Gwen really thought about her customers’ lifestyle when she personally selected each shoe. Styles include embellished stilettos, knee high boots, booties and flats for women like me who find it difficult to stay graceful in a heel more than 3 inches. The next time you are out and about, stop by GWEN RAWLS and tell them Staci sent you. It is located near Chipotle at 4840 Forest Drive, Suite 17. Store hours are Monday through Saturday, 10:00 am to 6:00 pm. 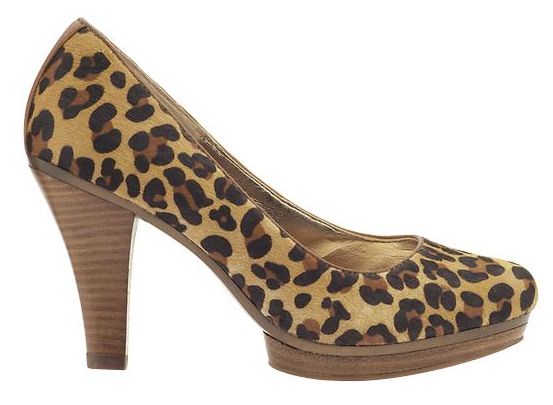 Also, be sure to connect with GWEN RAWLS via Facebook at www.facebook.com/GwenRawlsShoes or on Twitter @GwenRawls. You can also visit the website at www.gwenrawls.com. 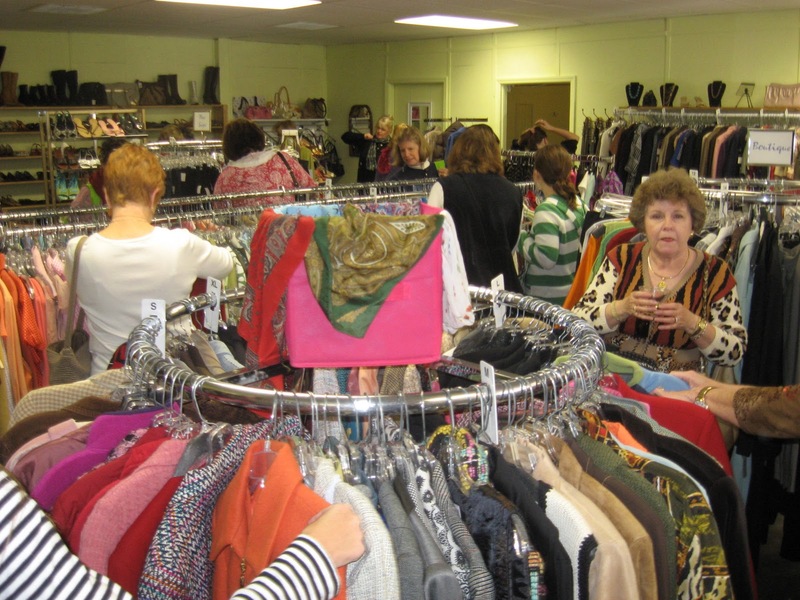 Last March, I discovered Revente’s Last Call, a charity resale shop benefiting The Women’s Shelter in Columbia, South Carolina. I was about midway through my two-year journey to better health, and I needed some smaller clothes. I’d been steadily losing weight and couldn’t keep myself in a pair of pants for more than about a month. I visited Last Call for inexpensive clothes to wear during the transition, but I found much more: stylish, sustainable, affordable clothes; women helping other women; even new friends. Being a long time “green queen,” I reduce, reuse and recycle. Thanks to Revente’s Last Call, I can also add shop sustainably to that list. Shopping at resale boutiques like Last Call, you can reduce your environmental impact in a huge way. Used clothes don’t require new materials, energy or resources to manufacture. They also don’t require new packaging or additional shipping. Even better, when my purchases become too big, I clean them and take them back for a third person to enjoy. Lest you think shopping a re-sale boutique leaves you with no style, think again! The bulk of Last Call’s inventory is from the generous consignors of Revente in Five Points, where consignors may choose to donate their unsold items knowing they are helping support women in need through our shop. I’m not a “name brand” fashionista, but I’ve gotten some great high end and designer finds at Last Call. In addition, there’s a unique selection; it’s not the same thing you see at store after store in the malls and shopping centers. And sustainability and style don’t win you over, the prices will. On my most recent trip to Last Call, I bought three great pieces for less than $55, including a fuschia Talbots cotton shirt ($15), a two-piece Singrid Olsen green sweater set ($20) and a black Larry Levine faux-wrap skirt ($15). If you “like” Revente’s Last Call Facebook page, you’ll hear about their special sales – they often have buy one, get one half-off sales – and also get a sneak peak at some fab pieces. Also, if you donate clothes, you also get a coupon for a percentage off your next purchase, as well as a receipt for tax purposes. What differentiates Revente’s Last Call from other re-sale shops is 100% of net profits go to The Women’s Shelter, a non-profit organization that provide a safe environment for homeless women in crisis and the necessary resources to build strong and healthy lives. Since opening their doors in September, 2010, they’ve donated more than $44,000 to the shelter. That’s not all. They also help the women by providing suits for job interviews and other occasions. Phenomenal. I’ve actually just about hit my goal weight, and I thought this would be the time that I started investing in more expensive pieces. But you know what? I’m still shopping Revente’s Last Call. 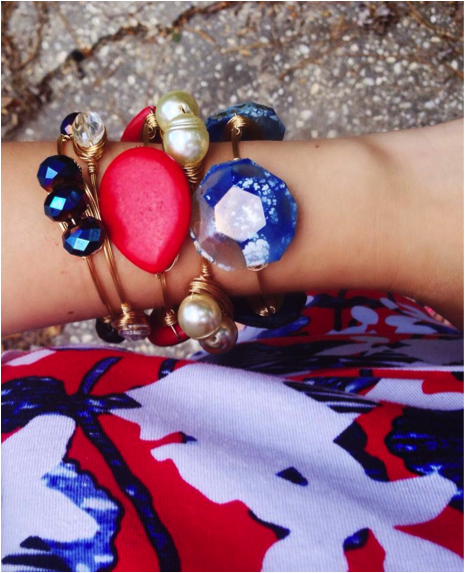 It’s a great way to add stylish, inexpensive pieces to your wardrobe while helping others. It’s a win-win-win. So whether you’re on the lookout for transition pieces while you’re losing weight, new pieces to update your wardrobe or new ways to save money in today’s economy, I recommend Revente’s Last Call! Last Call is located at 3015 Millwood behind an octagon building that used to be a florist shop. It’s also in the same area as Groomingdale’s, which is on Butler Street. It’s open 10 a.m. to 6 p.m. Monday through Saturday, and parking is plentiful. Bring cash or a debit/credit card and allow yourself plenty of time to look and try things on. Although we still have another month and a half left of summer, I am already anticipating the transition into fall. I love shopping for deals to update my wardrobe at the beginning of a new season. My take on fashion is always changing; therefore, I try to incorporate some of the latest trends with a few classic staples and statement pieces. I’ll focus on footwear first because I consider myself “shoe challenged”. 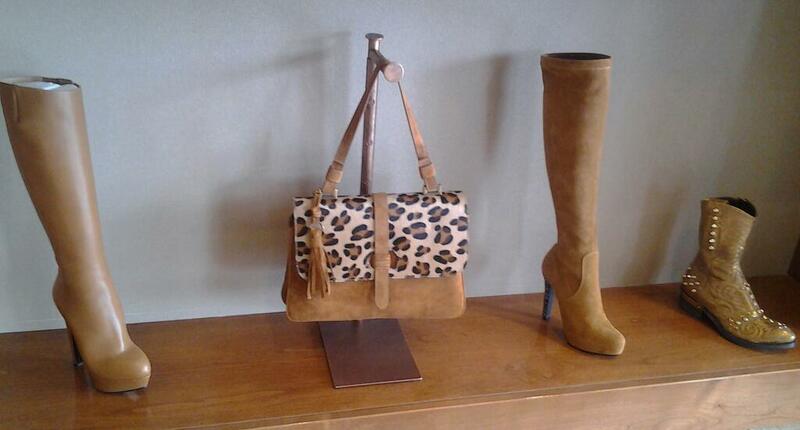 Since I don’t look forward to shoe shopping (I’d much rather shop for a new bag! ), I have come up with three questions to ask myself to help determine if a shoe is worth buying: Does it fit well, and is it comfortable? How many times will I wear it? Will the style work with the rest of my wardrobe? Comfort, quality and style are key points to consider as I try on shoes, which makes it easier to find and buy the right shoes.